Free Halloween event fun is for everyone. From October 24-31, 2016, participating Bass Pro Shops locations will host a free Great Pumpkin Celebration Halloween event. 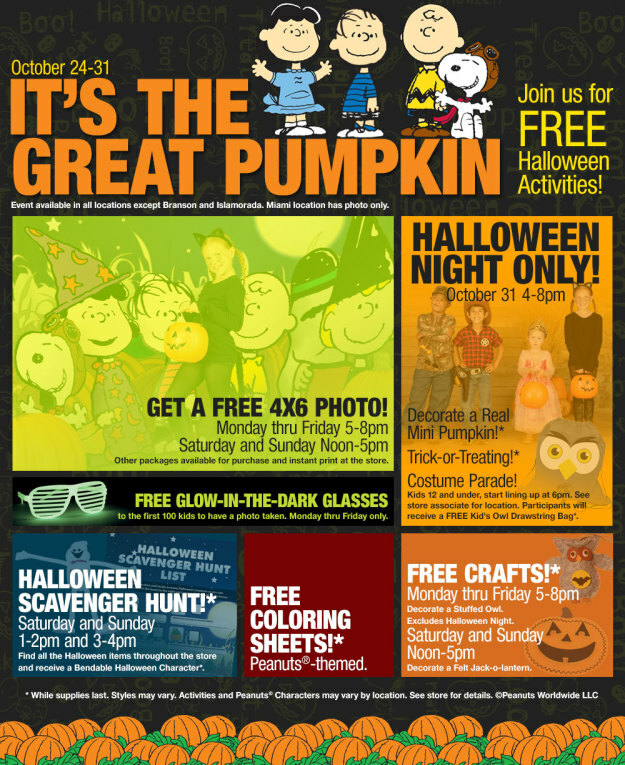 There will be free art crafts classes, trick or treating, costume parades, face paining and more. The best part of all that this is all free!! No purchase is necessary so grab the kids and bring them out for a free and safe good time. For more information and full schedule of events Click Here. Also, for a list of participating locations Click Here. We love giving up the good deals and you don’t want to miss them. It is exciting to have you enjoy the many deals. We don’t have a newsletter setup. However, you can still sign up for other things. Previous post Live Life Half Price and Making Memories Travel Take over the N.O.